In the past, new employers had to wait until the next policy year to apply for Group Rating. Grow Ohio gives an employer the option to apply immediately and upon acceptance, receive a premium discount possibly up to 53%, which is the current maximum allowable discount by BWC. ​In order to participate in Group Rating, a sponsoring organization must be selected, and any fees/dues for participation would be separate from premium payment due to BWC. To enroll in this option, an Employer Statement for Group Experience Rating (AC-26) form must be completed and filed through the sponsoring organization or their designated third party administrator (TPA). 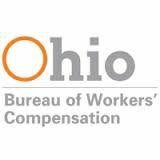 All eligible new employers will receive a 25% discount on their workers’ compensation premium unless they choose to participate in a Group Rating program or a BWC program that is not compatible with Grow Ohio. Employers only paying the $50.00 administrative fee will not receive a discount. Private employers will have the 25% discount applied for the payroll period in which coverage becomes effective and the next four consecutive payroll periods as long as the employer maintains eligibility. ​Public employer taxing districts will have the 25% discount applied for the partial year that coverage becomes active, and then the next two consecutive years. A new employer is defined as a new business entity or an out-of- state business that creates one or more jobs in Ohio on or after July 1, 2011. The following are not eligible for the program: professional employer organizations, self-insured employers and employers transferring experience. An online safety assessment, including providing any follow-up information that may be requested by the Division of Safety & Hygiene. At least two hours of safety training offered by BWC’s Division of Safety & Hygiene. Employers may complete the course work at any BWC training location or online through the BWC’s Learning Center. The Safety Management Self-Assessment (SH-26 form). Employers must complete the eligibility requirements before the end of the first full reporting period after acceptance into the program.